Legislation proposed Oct. 9 by Sen. John Barrasso, R-Wyo., who is chairman of the Senate Committee on Environment and Public Works, aims to terminate and repeal the up to $7,500 electric vehicle federal tax credit, impose a “federal highway user fee” on the owners of alternative fuel vehicles and require that those fees be collected with the user’s tax return – with the monies gained from those fees to be transferred into the Highway Trust Fund. He added in an editorial published with Investor’s Business Daily that between 2011 and 2017, electric-vehicle buyers received $4.7 billion in tax credits – and that stopping such tax credits now could, according to calculations by the Manhattan Institute, save taxpayers roughly $20 billion. Retiring Rep. Bill Shuster, R-Penn., the outgoing chairman of the House of Representatives Transportation & Infrastructure Committee, made a similar user fee proposition as part of a 108-page infrastructure funding proposal released on July 23. 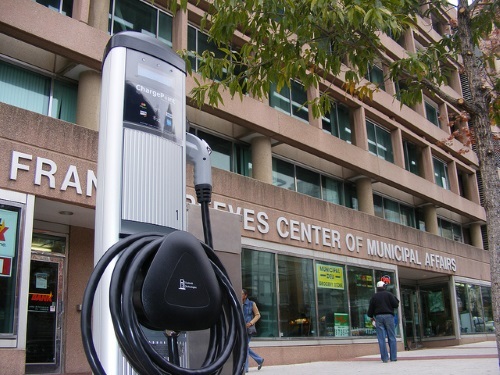 One aspect of that “draft plan” as he called it would create “new levies” on electric vehicles and bicycles – a 10 percent fee on the wholesale price of electric vehicle batteries and a 10 percent user fee on the wholesale price of adult bicycle tires – as well as reinstate the 4.3-cent-per-gallon fuel tax on diesel fuel (indexed to inflation) used by passenger trains eligible for funding under certain federal public transportation programs. Barrasso noted in his op-ed that the Highway Trust Fund is “due to run out of money in 2021,” so the additional user fee that owners and operators of alternative fueled vehicles would pay under his legislation – a fee that is calculated using rates comparable to those already being paid by the drivers of traditionally powered vehicles – would help restore the fund’s solvency.